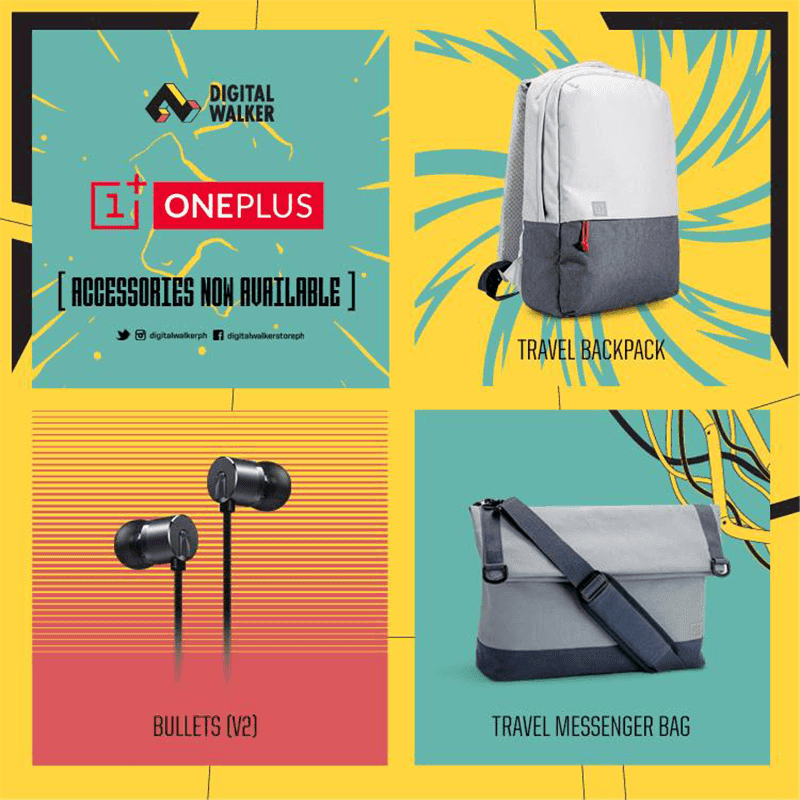 Digital Walker, the sole official distributor of OnePlus in the country has just brought several interesting accessories for your OnePlus 5 flagship smartphone. It includes a backpack, messenger bag, earphones, and 3 types of cases. 1. OnePlus Backpack - This backpack is minimalist, slim, and definitely sleek. It's made out of durable materials and has a lot of intelligent compartments. In particular, it has 12 internal pockets and has a premium cloth bag. Moreover, this backpack has super soft memory cushions for maximum comfort of your back. It's priced at PHP 2,890. 2. OnePlus Travel Messenger Bag - Like their backpack, the OnePlus Travel Messenger Bag is beautiful and functional. It's a good portable bag for your 13 inch laptop and other accessories. It's priced at PHP 2,890. 3. OnePlus Bullets V2 - It's a budget IEM (in-ear monitors) with a promise of great style, build, and sound for price. The OnePlus Bullets V2 has ARYPHAN polyarylate diaphragm for high vibration frequency and well-rounded sound reproduction. OnePlus boasts that the Bullets V2 has the ability to produce richer bass, more delicate treble, and a smoother midrange. It also has great comfort for long listening hours as well. It's priced at PHP 1,190. 4. 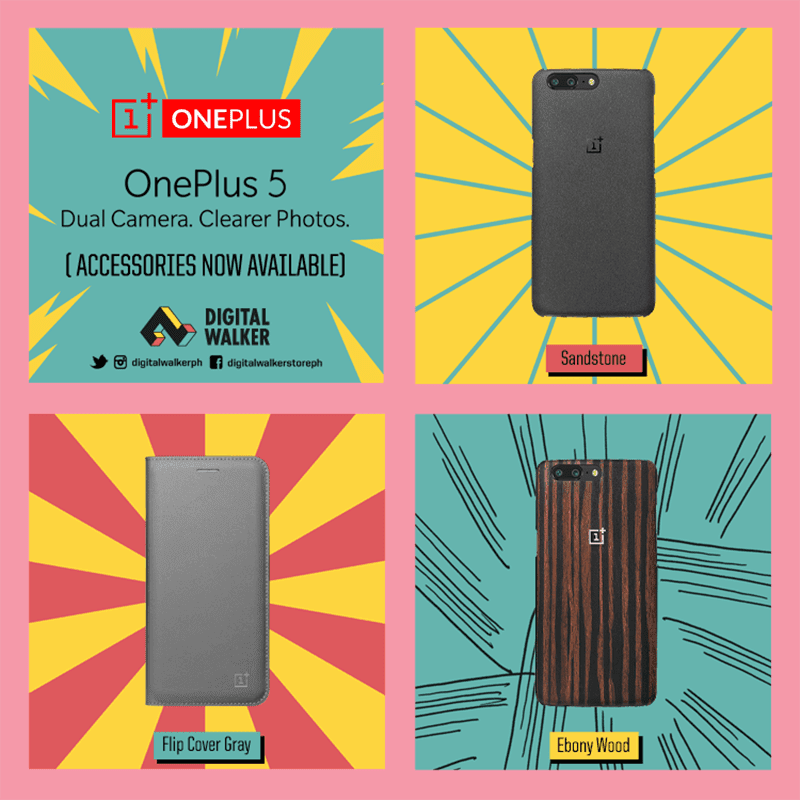 OnePlus 5 Cases - OnePlus has brought 3 types of cases for the OnePlus 5 here in the Philippines. It includes the Sandstone case and Flip Cover Gray case for PHP 990 and the special edition Ebony Wood case priced at PHP 1,290.